Limited (350 boxes) hand numbered album to celebrate Annalist's 20th anniversary. 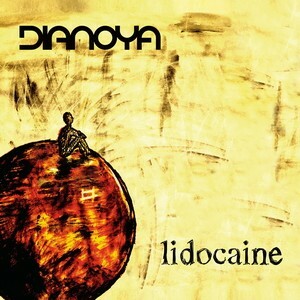 "Lidocaine" is the second studio album of the Polish band Dianoya. It has been released two years after the publication of their first album, "Obscurity Divine", which has been very well received. The CD, promoted by a single entitled "Best Wishes", gives a massive dose of rock at world level, a dose in which original music forms predominate. "Lidocaine" will be published by ProgTeam at the beginning of May. The American legend prog/acid rock Iron Butterfly will perform live on March, 15th in Progresja Club, Warsaw. On the day of the concert the band will be accompanied by the Warsaw group Dianoya which, after the release of the 2010 debut album "Obscurity Divine", is working on finalizing the second official release. The band's music is characterized by a variety of styles, though no doubt the band moves around the most popular alternative sounds. Dianoya will certainly play several compositions from the new album that will be released in April this year. DIANOYA joins ProgTeam, album in April! The band is just about to finish recording the second album. Two songs were mixed till now. You will be able to hear them on the Internet soon! The album, entitled "Lidocaine", will be completed in February and its publication is due to take place in the middle of April. Fans of the band will be able to enjoy as many as 11 compositions. Dianoya, the band from Warsaw, was created in 2008 by Janek Niedzielski, a guitarist, and Filip Zieliński, a vocalist. In March, 2010 the band published its first album "Obscurity Divine" and just after that it played numerous concerts with such bands as: Votum, Disperse, Division by Zero, Quidam, Tides from Nebula. 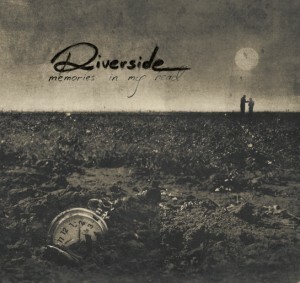 Riverside - Memories In My Head - in stores from June 20th! It is already confirmed - Riverside's newest record will be officially available for purchase. The mini album "Memories In My Head" will come out in Poland thanks to Progteam, in Europe thanks to Glassville Records and in USA thanks to Laser’s Edge. Travis Smith, who continues to cooperate with the band, designed the cover. PROGRESSIVE TOUR VOL.3 - under this title a series of concerts of the groups: DIVISION BY ZERO, DISPERSE and DIANOYA will take place in autumn. 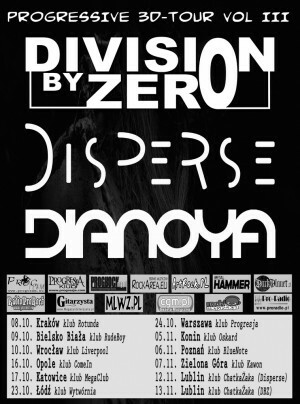 DIVISION BY ZERO and DISPERSE will be promoting their latest records which were released in April 2010. The groups will visit 11 Polish cities. Two new albums published by ProgTeam Management will come into the market on 5th April, these would be: the debut album of a young but promising group Disperse - Journey Through The Hidden Garden and the second CD of Division By Zero - Independent Harmony. Journey Through The Hidden Garden is a perfect combination of Art Rock, mainly its beautiful sceneries, melodies and delicacy, unique climate and the musicians' perfect technique. The record was prepared in Studio X by Szymon Czech, while mastering was applied by Grzegorz Piwkowski from High End Studio.